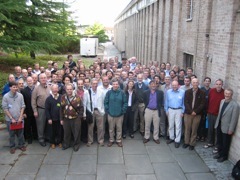 A symposium to celebrate the 60th birthday of Gordon Plotkin. This meeting has financial support from: EPSRC; LFCS; and the School of Informatics, University of Edinburgh. Pictures, talk materials and video recordings of talks available. 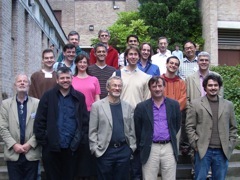 Invited Speakers: Martín Abadi (UC Santa Cruz and Microsoft Research, Silicon Valley); Samson Abramsky (University of Oxford); Rod Burstall (University of Edinburgh, Emeritus); Luca Cardelli (Microsoft Research, Cambridge); Marcelo Fiore (University of Cambridge); Philippa Gardner (Imperial College); Matthew Hennessy (University of Sussex); Robin Milner (Univerity of Cambridge, Emeritus); Eugenio Moggi (Università di Genova); John Power (University of Edinburgh); David Pym (Hewlett-Packard Laboratories, Bristol); Dana Scott (Carnegie Mellon University, Emeritus); Colin Stirling (University of Edinburgh); Glynn Winskel (University of Cambridge).